Ultra-desirable, lightweight performance models have always been part of the BMW philosophy. These limited-edition M-badged cars always deliver the ultimate in sports-oriented design, power with efficiency and precise driving dynamics. That family lineage welcomes its latest member – the all-new BMW M4 GTS. Unique exterior design elements demonstrate the performance credentials of the car, and include the world premiere of BMW’s Organic Light with LED (OLED) lighting technology on a series-production model. Inside, the rear bench has been completely removed to save weight, leaving two carbon-fibre sports seats. Under the bonnet is an enhanced version of the 3.0-litre six-cylinder twin-turbo petrol engine, tuned to deliver 500hp. The result is a car which accelerates from zero to 62mph in only 3.8 seconds, and has a top speed limited to 190mph. 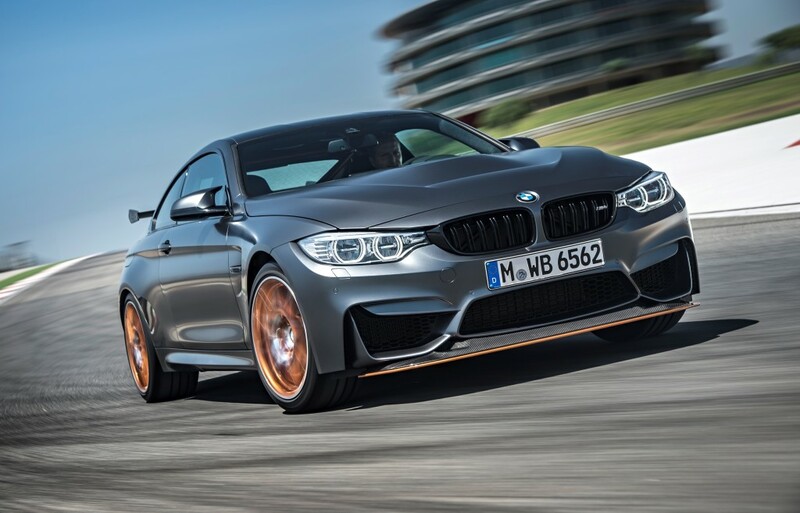 With its intelligent lightweight design, the new BMW M4 GTS has a kerb weight of only 1,510kg. It has been engineered to provide a truly authentic motorsport-derived driving experience, agile and potent in every way. With precision handling and unprecedented levels of feedback, it is focused on track use, but meets all global regulations for use on public roads. The car’s one-year production run will see just 700 examples built worldwide, with UK sales of 30 units. That equates to four per cent of the total, making Britain the fourth-largest market. The M4 GTS will make its world debut at the Tokyo Motor Show on 28 October 2015. Production will begin in March 2016 with launch scheduled for June 2016.